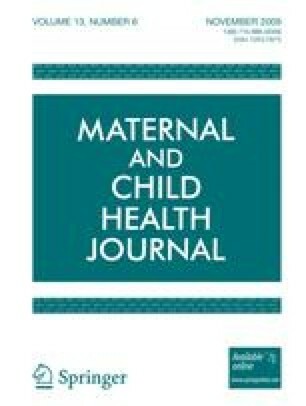 Objective The goal of this study was to assess and improve the management of postpartum haemorrhage (PPH) in maternity units in Malawi. The main objective was to determine whether criteria-based audit can improve adherence to standards for the management of PPH. Methods We used a before-and-after design and univariate statistics for data analysis. A retrospective review of 40 consecutive cases of PPH was conducted in eight hospitals and the results compared with standards for PPH, established based on World Health Organisation manuals. Results of the audit were presented to healthcare providers who made and implemented recommendations for improvement. A re-audit (45 cases) was conducted 3 months later. Results There was a significant improvement in adherence to three standards: typing and cross-match carried out (65.0% vs. 84.4%; P = 0.034), patient’s hematocrit or haemoglobin established (67.5% vs. 86.7%; P = 0.029), and fluid intake/output chart maintained (0.0% vs 33.3%; P < 0.001). There was no significant change in close monitoring of vital signs (32.5% vs. 53.3%, P = 0.065) and case fatality rate (10.0% vs. 6.7%, P = 0.702), intravenous access achieved and intravenous fluids administered (100.0% vs. 97.8%; P = 0.735), and oxytocic drugs administered (100.0% vs. 95.6%; P = 0.357). Conclusion Introduction of criteria-based audit can improve the management of postpartum haemorrhage in countries with limited resources. Future studies should consider using larger sample size to evaluate the effect of criteria-based audit on mortality. We wish to acknowledge the Health Foundation for providing financial support for this study. Thanks to maternity and administrative staff of all the hospitals that participated in this study. E. J. Kongnyuy: Conception, design, drafting of the protocol, analysis, interpretation and write-up of all versions of the manuscript. G. Mlava and N. van den Broek: Critically reviewed the final manuscript for important intellectual content. World Health Organisation. (2005). Integrated management of pregnancy and childbirth series (IMPAC). Geneva: WHO (retrieved 20 April 2007) http://www.euro.who.int/pregnancy/esscare/20051103_3?language=german.